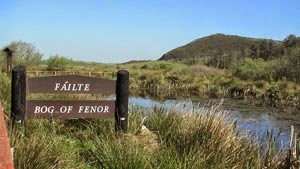 Waterford Irish Wildlife Trust begins its summer programme of evening walks on Tuesday June 10th with a visit to Fenor Bog and area. The bog is coming into its summer glory now and Denis Cullen will be our guide to point out its features and ecology. Start time is 7.30 pm sharp and the meeting point is the carpark at Fenor Bog just beyond the church. Fenor Bog is a very good example of a fen bog and we owe a tremendous ‘thank you ‘ to the Fenor community for their efforts and expense in building a board walk so that all can appreciate and enjoy this wonderful part of our physical heritage. The IPCC guide to the Fenor bog can be viewed here. A pdf on the bog can be downloaded here from the Waterford County Council.